Contact us at (505) 881-3647 to learn more about our dog grooming services. Bath and Brush. Blow dry upgrade available for additional charge. Brush, bath with shampoo and conditioner, nail trim, ear clean, and blow dry. Brush, bath with shampoo and conditioner, nail trim or grind, ear clean, teeth brush, blueberry facial, blow dry and a bandana. All natural. 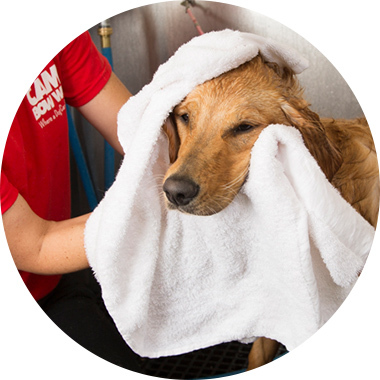 This PH balanced, relaxing treatment cleans and brightens your pup's face.